Becoming Engaged – The Question Came Straight From The Heart – And the answer suddenly and wonderfully changed both your worlds. You have become engaged, and this simple yet profound commitment makes a clear statement. From this moment on, your focus is on one another and the unique vision you share for your live together. All other distractions now give way to that vision as you prepare for your wedding day. Congratulations1 The journey towards your wedding day begins… We are thrilled to share this journey with you and hope we can offer the best possible assistance to ensure that your wedding day is completely perfect! Your engagement will be true a truly magnificent stage of your life. When you tell your friends and family about your engagement they will offer their congratulations and support. Traditionally, the groom approached the bride’s father to ask for his daughter’s hand. If for whatever reason this were not possible, the groom would approach the bride’s mother. Then, before the news was made public, the groom’s parents were informed of the engagement. Today, procedure can be more informal. However, it still honours your parents to tell them before all others, and you may then like to inform your siblings. If you already know who you would like in your bridal party, they should next. After that announce your engagement to close family and your dearest friends. ALSO READ: Marriage Demand – How soon is too soon? Then it’s time to tell the world! You may decide to announce your engagement to the public through a popular blog like Linda Ikeji’s blog or newspaper. Traditionally, the bride’s parents paid for the newspaper or blog sponsored post announcement but today it’s not uncommon for couples to pay for this themselves. There are a number of ways to write an engagement announcement. However, if you decide to observe tradition, the bride-to-be’s family name leads the announcement. The informal announcement : Jane and Bob Brown of Sandton have pleasure in announcing the engagement of their daughter Sarah, to James, son of Hillary and Marcus Henderson of Rooderpoort. Announcement when a parent is deceased : The engagement is announced of Sarah, eldest daughter of Jane Brown of Eden glen and the late Bob Brown, to James, third son of Hillary and Marcus Henderson of Mondeor. Your engagement celebration can be anything you want : an intimate evening for just the two of you, a dinner with you family and/or friends, a night out in Lagos or a huge celebration party. Traditionally, the brides’ parents host and pay for the engagement party. You can decide what’s most appropriate depending on your family circumstances and budget. However, one tradition is still included with any engagement celebration is the father the bride’s toast to the couple. The groom responds with a toast of his own. You may also like to say a few words. 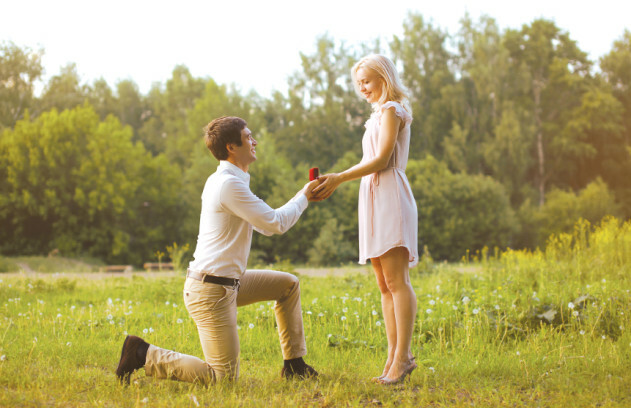 Marriage Demand – How soon is too soon?